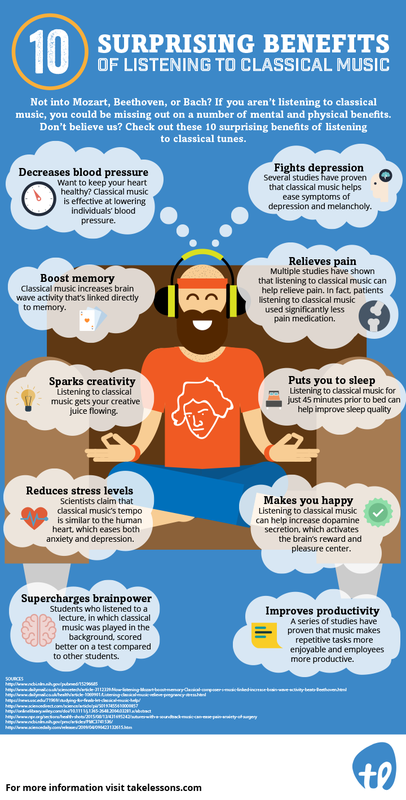 Here I have a fantastic infographic from the people at the USA music teacher finder website called TakeLessons that provides information about ten of the surprising benefits of listening to classical music. Some of the benefits include decreases blood pressure, fights depression, boosts memory and relieves pain. We hope that you enjoy this classical music benefits infographic and please share with your friends on Facebook, Twitter, Google+ etc.